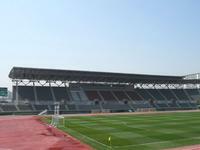 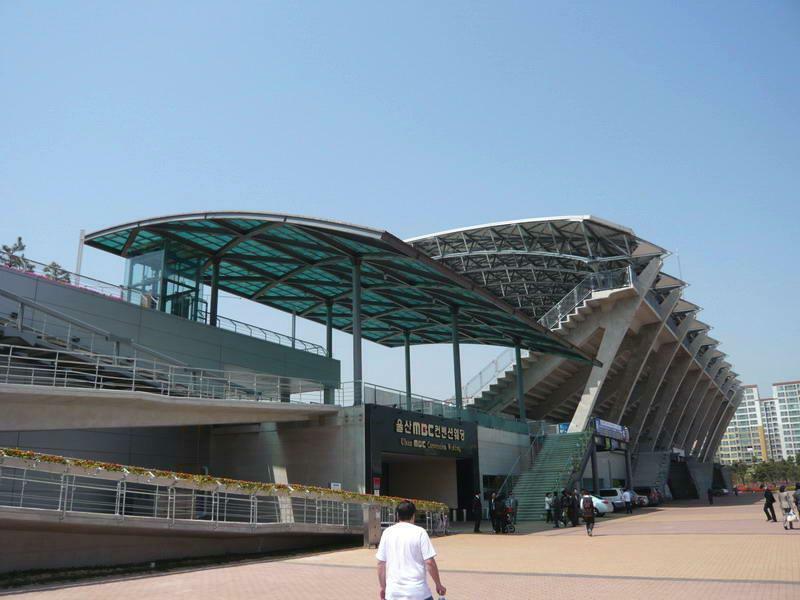 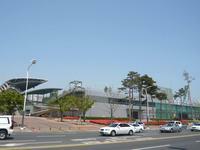 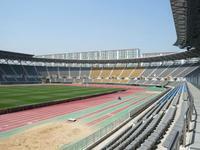 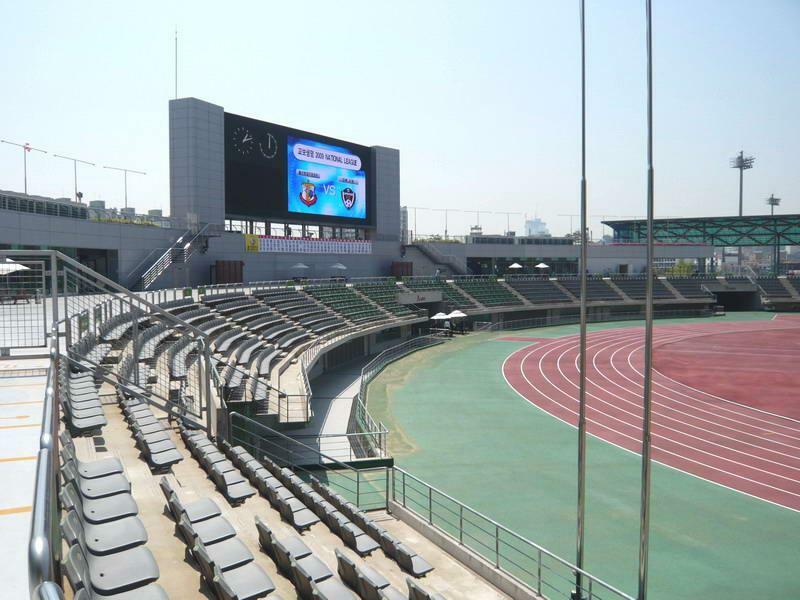 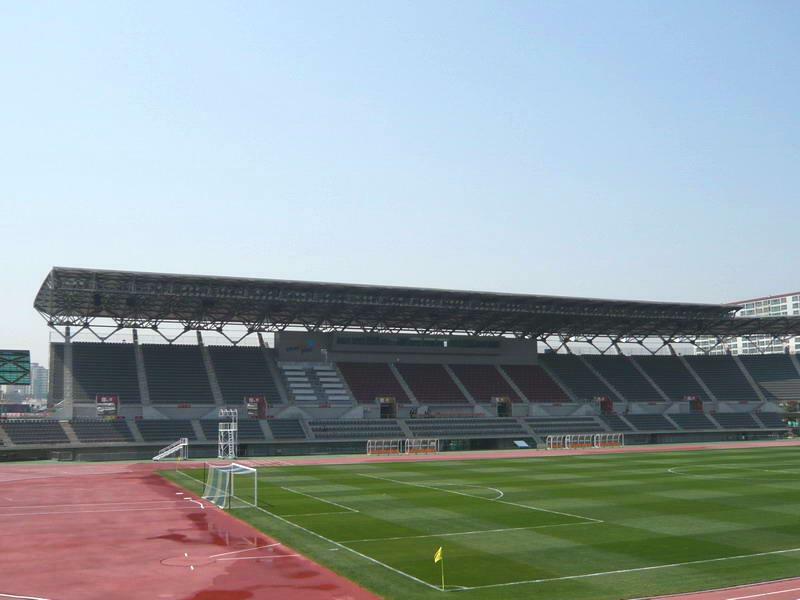 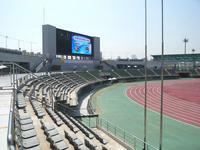 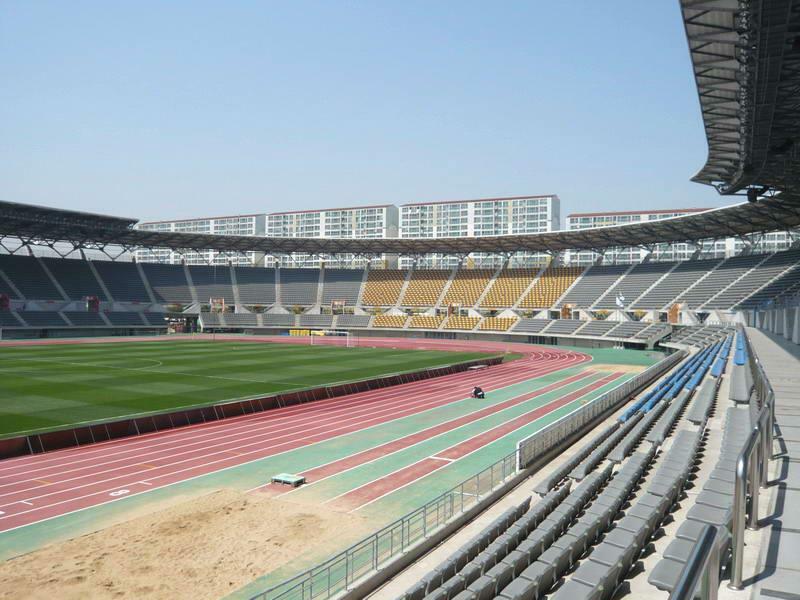 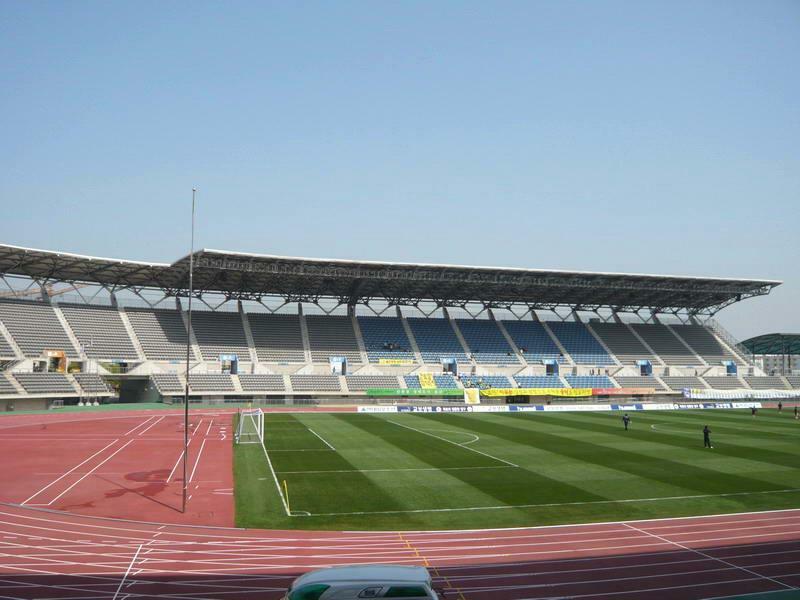 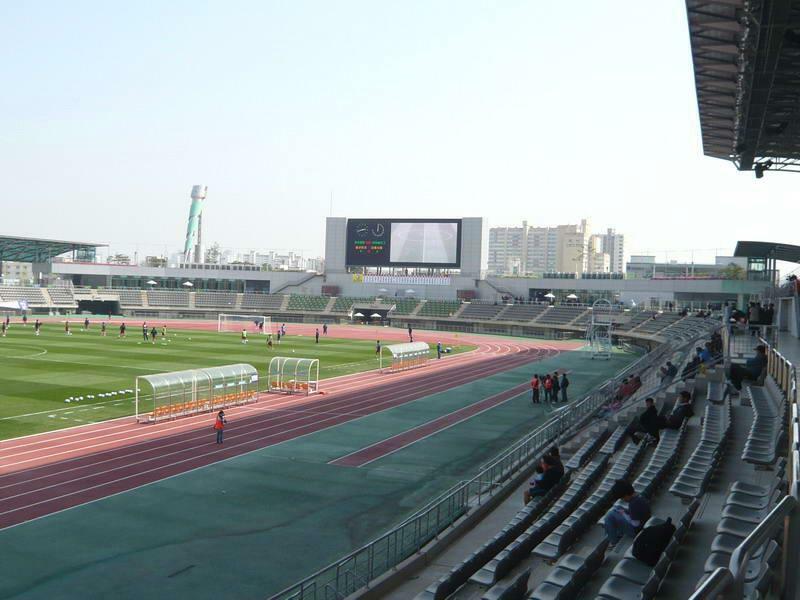 The stadium is part of Ulsan’s central sports complex and stands between an indoor arena and a smaller track and field stadium. 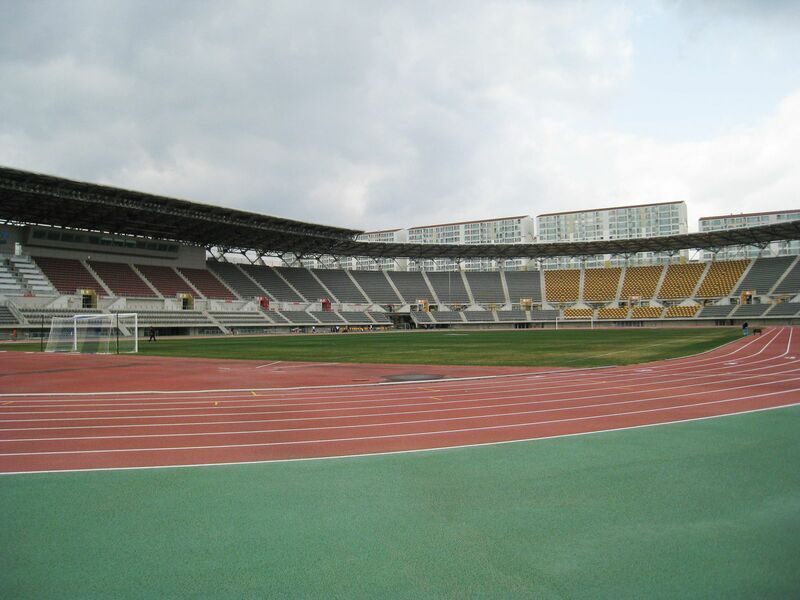 Until 2003 there was a different stadium here, but was then closed and torn down to make way for the new one. 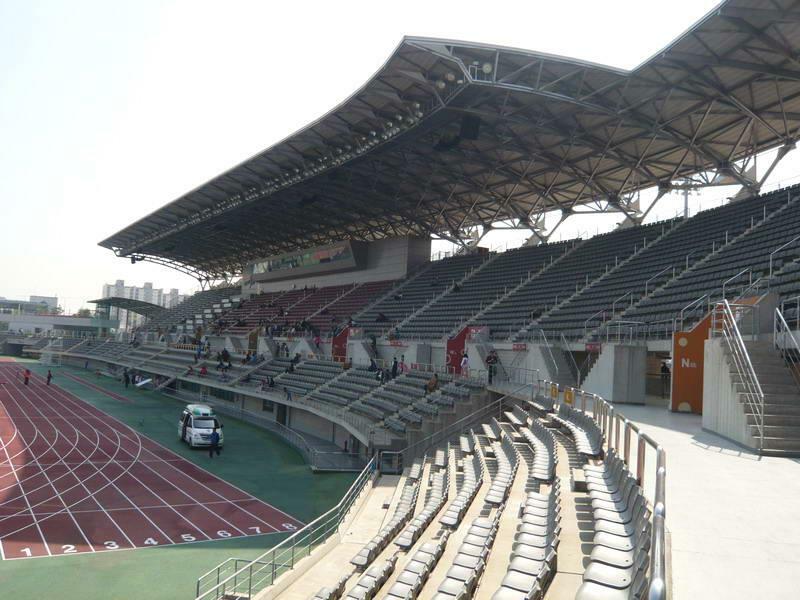 In 2003-2005 stands accommodating almost 20,000 people were erected, but not shaped as a complete bowl. The southern side has only a small tier of seating, opening the venue to part of this port city. 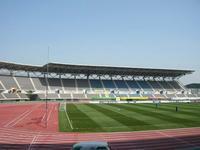 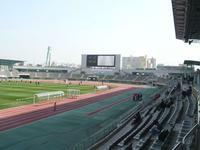 When the old stadium still existed, it was used by city’s largest team, the K-League side Ulsan Hyundai. 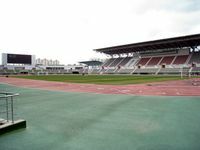 They then moved to 2002 World Cup venue in Western outskirts however, as it allows the club to get crowds of over 30,000 for top games. 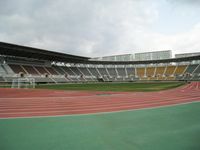 The smaller and newer stadium also has a tenant – in 2005 the Mipo Dockayrd Dolphins moved in, a lower league franchise.